July 28, 2017 – NASA has selected nine proposals under its Explorers Program that will return transformational science about the Sun and space environment and fill science gaps between the agency’s larger missions; eight for focused scientific investigations and one for technological development of instrumentation. 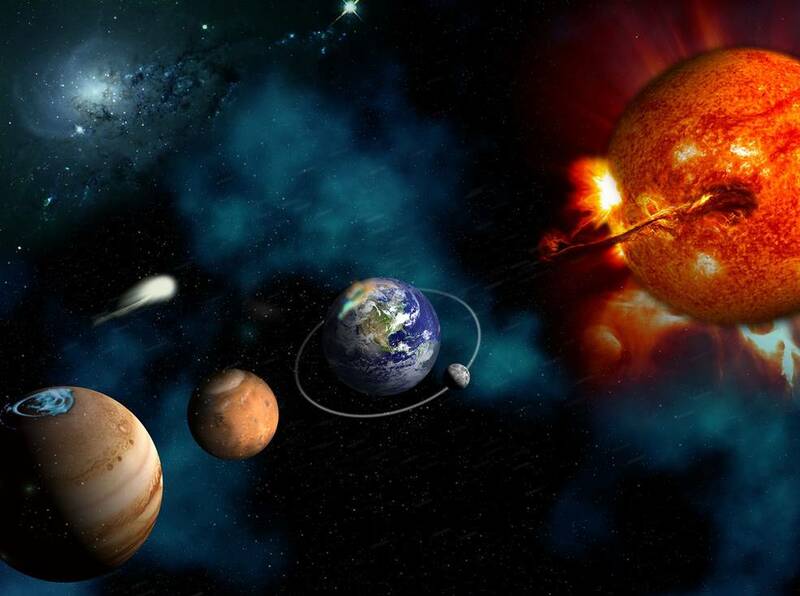 The broad scope of the investigations illustrates the many vital and specialized research areas that must be explored simultaneously in the area of heliophysics, which is the study of how the Sun affects space and the space environment of planets. Under the selected proposals, five Heliophysics Small Explorer missions and two Explorer Missions of Opportunity Small Complete Missions (SCM), concept studies will be conducted that span a broad range of investigations focusing on terrestrial weather in the near-Earth space environment; magnetic energy; solar wind; and heating and energy released in the solar atmosphere. The proposals were selected based on potential science value and feasibility of development plans. Small Explorer mission costs are capped at $165 million each, and Mission of Opportunity costs are capped at $55 million each. MEME-X will map the universal physical processes of the lower geospace system that control the mass flux through the upper atmosphere to space potentially transforming our understanding of how ions leave Earth’s atmosphere. FOXSI is a solar-dedicated, direct-imaging, Hard X-Ray telescope that would detect hot plasma and energetic electrons in and near energy release sites in the solar corona. MUSE will provide data to advance understanding of the difficult problems of mechanisms responsible for energy release in the corona and the dynamics of the solar atmosphere. TRACERS will fill a fundamental gap in our knowledge of the global variability in magnetopause reconnection by providing an abundant, well targeted set of new and unique in situ measurements. PUNCH will advance our understanding of how coronal structures fuel the ambient solar wind with mass and energy, and the dynamic evolution of transient structures in the young solar wind (near the source surface). SunRISE will consist of a constellation of cubesats operating as a synthetic aperture radio telescope to address the critical heliophysics problems of how solar energetic particles are accelerated and released into interplanetary space. AWE will investigate how atmospheric gravity waves, including those generated by terrestrial weather, impact the transport of energy and momentum from the lower atmosphere into near-Earth space, a fundamental question in Heliophysics. A Partner Mission of Opportunity (PMO) proposal has been selected for components and scientific analysis for three in situ payload instruments aboard the Turbulence Heating ObserveR (THOR) mission – one of four proposed missions currently under consideration by ESA (European Space Agency). After ESA’s final selection, work will begin on implementation of the PMO only if THOR is selected. THOR-US will provide components and scientific analysis for an investigation into how plasma is heated and accelerated by the dissipation of turbulent fluctuations through kinetic processes. The concept study for THOR-US was conducted prior to its selection for NASA’s Explorer Program, so the team is positioned to move into the detailed design phase if its host mission is selected. COSIE would provide a missing link between the physics of the low corona and that of the heliosphere with a unique and innovative instrument based on the International Space Station. The Explorers Program is the oldest continuous NASA program designed to provide frequent, low-cost access to space using principal investigator-led space science investigations relevant to the agency’s astrophysics and heliophysics programs. Since the Explorer 1 launch in 1958, which discovered Earth’s radiation belts, the Explorers Program has launched more than 90 missions, including the Uhuru and Cosmic Background Explorer (COBE) missions that led to Nobel Prizes for their investigators. The program is managed by Goddard for NASA’s Science Mission Directorate in Washington, which conducts a wide variety of research and scientific exploration programs for Earth studies, space weather, the solar system and universe.